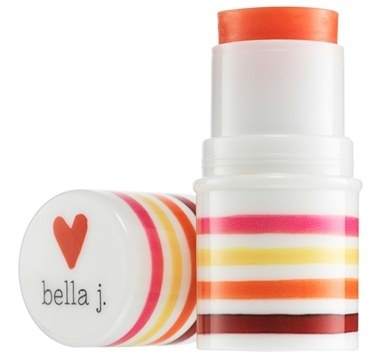 Nordstrom is running a special promotion on Bella J. Orange Smoothie Lip Balm for $5.00 with free shipping (half-price; originally $10.00). Because this is a Nordstrom beauty item, you also get 3 FREE designer cosmetic samples from Nordstrom with your purchase, including selections from M·A·C, Lancôme, Hermès and more. I actually got a mini M·A·C mascara for free as one of the samples! And shipping is completely free. Take 29% off any order (including sale items) over $29.00 at ThinkGeek.com when you enter promo code FROGGER at checkout. This discount is available today, 2/29/16 only. 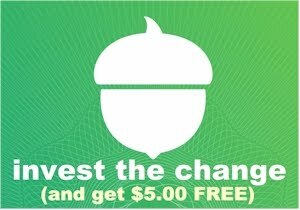 Shipping is free over $75 or it's a flat $6.95. 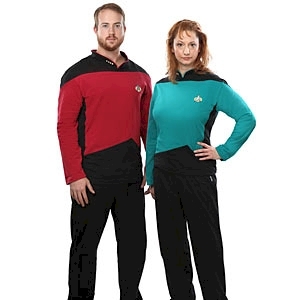 I found these Star Trek, The Next Generation PJs (which also double as a great Purim costume) are priced at $29.99, but after you enter the promo code, these PJs drop to $21.29. 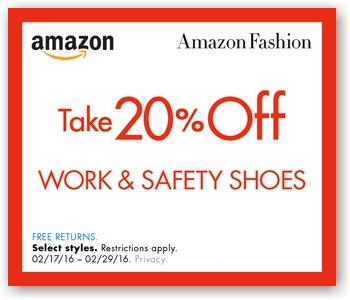 Today (2/29/16) is the last day to take 20% off this selection of work & safety shoes for both men and women on Amazon when you enter promo code 20WORKSAFE at checkout. These Cherokee Women's Alexis Work Shoes are priced at $40.00, but after you enter promo code 20WORKSAFE at checkout, they will drop to $32.00 with free Prime/SuperSaver shipping and free returns. 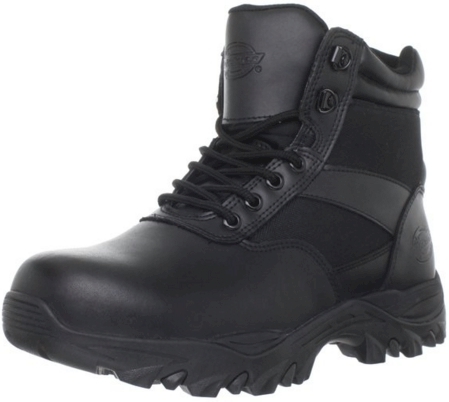 These Dickies Men's Spear 6'' Steel Toe Work Boots are priced at $71.99, but after you enter promo code 20WORKSAFE at checkout, they will drop to $57.59 with free Prime/SuperSaver shipping and free returns. 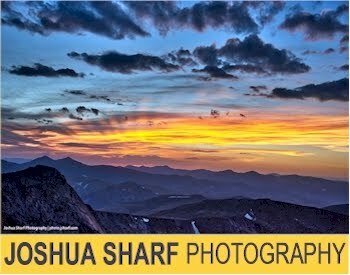 This 20% discount promo code is good through today, 2/29/16 only. 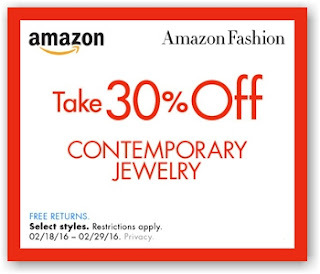 Take 30% off this collection of contemporary jewelry at Amazon when you enter the promo code LOVE30WANT at checkout. This promo code is good today, 2/29/16 only, so don't wait too long on this one. 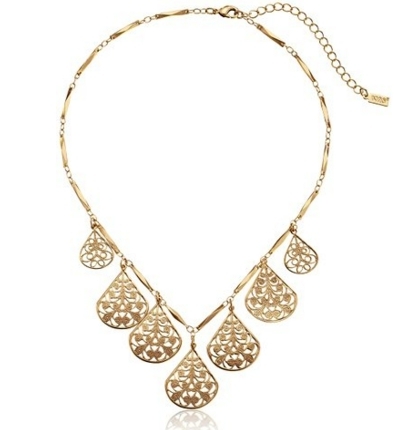 This 1928 Jewelry Vine Filigree Teardrop Collar Necklace is priced at $14.40, but after you enter the promo code LOVE30WANT, that drops to $10.08 with free Prime/SuperSaver shipping and free returns. 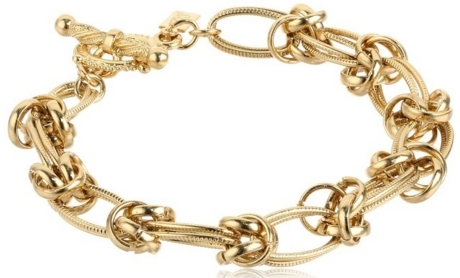 This 1928 Signature Gold Link Toggle Bracelet is priced at $18.00, but after you enter the promo code LOVE30WANT, that drops to $12.60 with free Prime/SuperSaver shipping and free returns. These Downton Abbey Linear Crystal Post Top Drop Earrings are priced at $12.00, but after you enter the promo code LOVE30WANT, that drops to $8.40 with free Prime/SuperSaver shipping and free returns. Remember, this 30% promo code is good today, 2/29/16 only. If purchased separately on Amazon, this package would cost $145.47, so this is really an incredible value! My husband thinks I'm obsessed with frogs, locusts and other fun plagues. 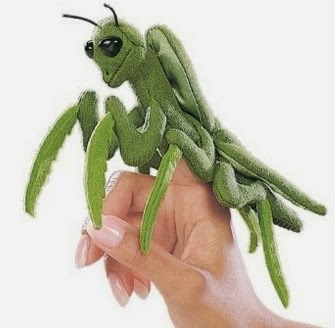 Ok, so technically, it's a praying mantis, but check out this Folkmanis Finger Puppet on Amazon for $7.99 with free Prime/SuperSaver shipping. 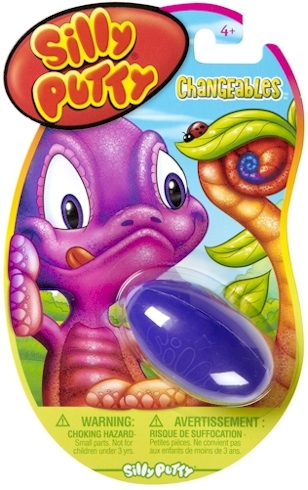 They don't make too many cool locust toys these days, so we've got to take what we can get! I'm guessing your kids will love this "locust" (sort of) puppet at the seder table. 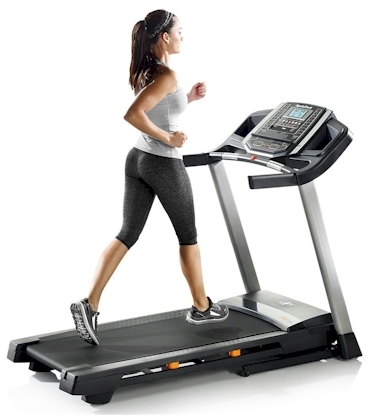 Are you in the market for a great deal on new treadmill? Ours is on its last legs, so I checked out today's Amazon Gold Box Deal of the Day on this NordicTrack T 6.5 S Treadmill, priced today (2/29/16) only at $549.00 with free Amazon scheduled delivery, the lowest recorded Amazon price on this treadmill. Yesterday, this treadmill was priced at $692.99, so this is about a solid 20% price drop. FYI, Sears has it for $599.99. 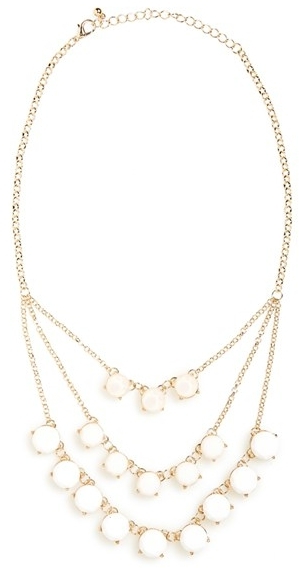 Nordstrom has got this BP Layered Round Stone Statement Necklace for $11.98 with free shipping and free returns. Description: round faceted stones sparkle on tiered layers of chains on a versatile statement necklace ready for weekend or formal wear. 17 1/2" length; 3" extender; 4" drop. This year, Purim falls out on the evening of 3/23/16, which means that it's less than 4 weeks away. 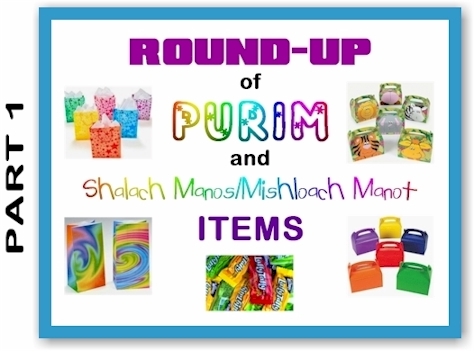 Amazon is just swimming in great deals on supplies for Mishloach Manot AKA Shalach Manos AKA Purim Packages. If you haven't already, please check out Part 2 and Part 3 of this series. 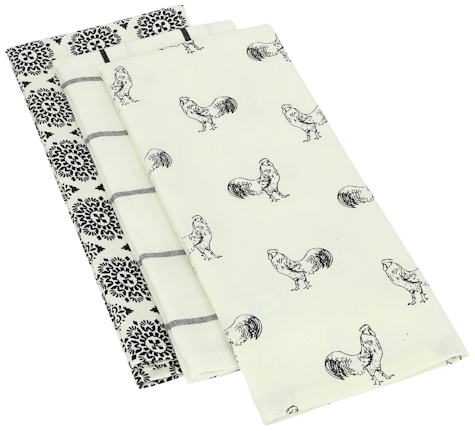 Amazon has got this 3-count 100% cotton Mahogany Rooster Kitchen Towels in black and white, (18" x 28") for $8.18 with free Prime/SuperSaver shipping ($2.73 per towel). It got 4 out of 5 stars over 1 customer reviews. 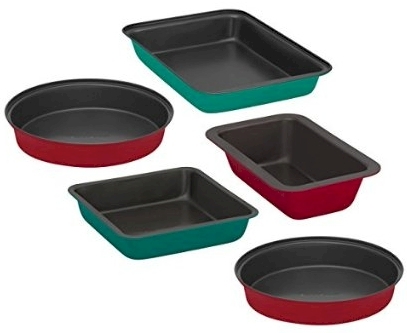 Amazon has got this 5-pan Baker's Secret Color Set for only $16.27 with free Prime/SuperSaver shipping ($3.25 per pan!). 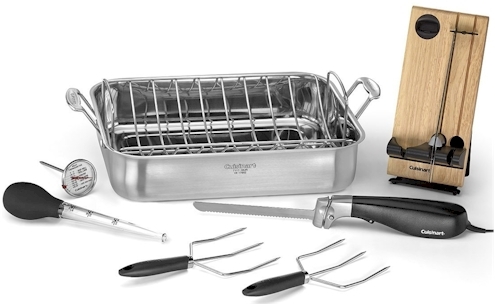 This set received 4.1 out of 5 stars over 13 customer reviews. I love sets that have colors like this, because it give me the option of separating them into two subsets (i.e., meat & dairy). 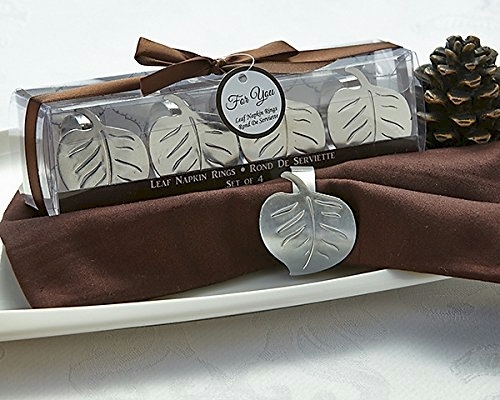 Amazon has got this set of four Artisano Designs "Elegance" stainless steel Leaf Napkin Rings for $3.91 ($0.98 per napkin ring). This is such a great deal. Buy 4 boxes and you'll have a complete, new set for Pesach (or Shabbos) for a song. 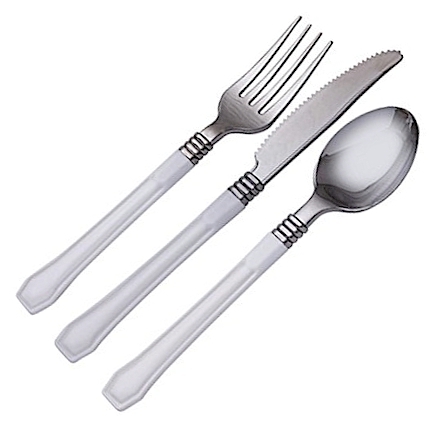 Amazon has got this WNA Reflections Duet 24-count white-handled silver plastic cutlery for $3.88. This consists of eight 3-piece settings (no fish fork, please keep that in mind) for 49 cents per setting. I am constantly on the lookout for higher-end plasticware for Pesach (like this 160-piece standard Reflections set for $14.03), so I picked up two sets of these for Pesach as a change of pace. At this price point, I can splurge on a new plasticware pattern. I love off-season shopping. Buying things you need or want at a time that no one else needs or wants them is a really smart way to save money. 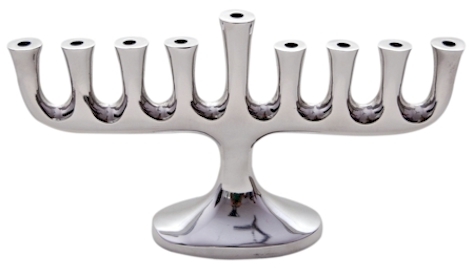 Amazon has got this Insideretail Contemporary Design Chanukah Menorah in polished aluminum for $13.54 with free Prime/SuperSaver shipping. Great Purim buy: 5 lb. 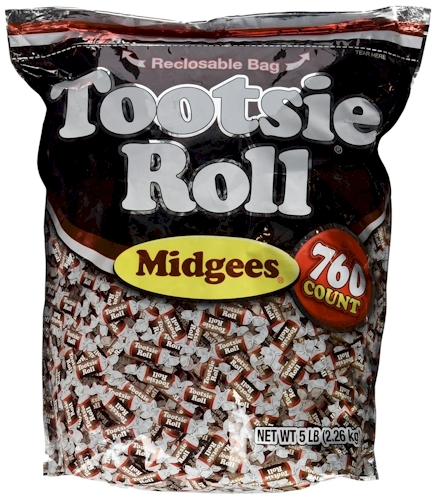 760-count bag of Tootsie Roll Midgees for $12.75 shipped on Amazon (no Prime membership needed). That's $2.55/lb or 1.6 cents per Tootsie. This 5-lb. 760-count bag of Tootsie Roll Midgees is now $12.75 with free shipping (no Prime account necessary) on Amazon, which comes to $2.55 per lb. or 1.6 cents per Tootsie Roll, shipped. 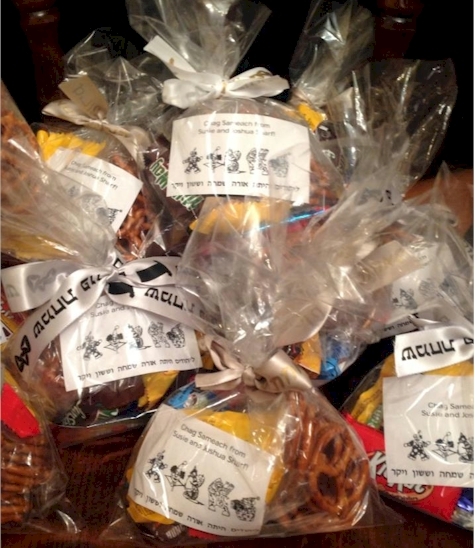 Great idea for Shalach Manos/Mishloach Manot! 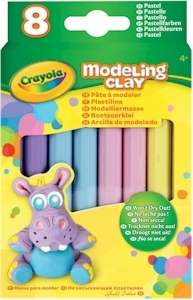 Amazon has got this 8-pack of Crayola Modeling Clay in both pastel and neon colors for $1.99. 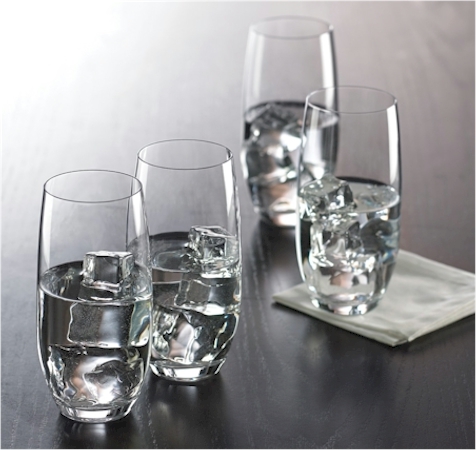 This set of four Gorham glasses is priced at only $9.27 with free Prime/SuperSaver shipping, the lowest recorded price on this set (comes to $2.32 per Gorham glass). Remember that Gorham is now a subsidiary of Lenox, so you will be getting very high-quality glassware for an excellent price. Because of the low price, you are limited to 8 sets per account. This set got 4.5 out of 5 stars over 61 customer reviews. 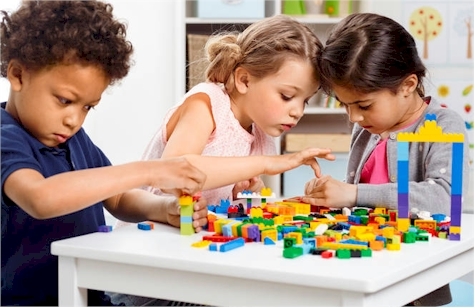 Creative Kidstuff is running a steep discount on their popular LEGO Legends of Chima Mini Games and Set, priced from $11.00 to $26.00, but enter promo code 25OFFOUT and those prices drop to $8.25 to $19.50. Quantities are VERY limited and there is a high sellout risk. Shipping is a flat $4.95 regardless of total amount spent up to $99.00. After you spend $99.00, enter promo code SHIP99 to get free shipping. There is also a recently released promo code BUY1SHIP for free shipping with no minimum that works at some times and not at other times (try entering it first before the 25% off promo code; I've had some success with that) And yes, you can stack multiple promo codes at Creative Kidstuff. Creative Kidstuff is having a great promotion in their outlet section on Robeez Leather Infant Shoes, priced from $13.00 to $19.00, but enter promo code 25OFFOUT and those prices drop to $9.75 to $14.25. Most shoes (all but the two pairs of boots) are priced at $9.75. Quantities are VERY limited and there is a high sellout risk. 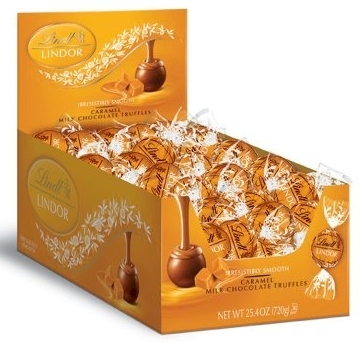 60-count Lindor Caramel Milk Chocolate Truffles for $13.50 on Amazon (22 cents per truffle). Great idea for Purim! Amazon has got a GREAT deal on this 60-count Lindor Caramel Milk Chocolate Truffles for $15.88 - 15% coupon = $13.50 with free Prime/SuperSaver shipping, which works out to 22 cents per truffle. Gourmet truffles are a delicious and classy ingredient for your Mishloach Manot/Shalach Manos. Kosher-keeping Daily Cheapskate readers, please note that kashrut information about Lindor Truffles is here. The Lindor truffle flavors that are kosher (including the caramel flavor) are under the hashgacha of the Kof-K (chalav stam). Not all flavors are kosher; make sure you look for the hechsher on the package. $12.74 ($0.53 per 4.23 oz. package) with the Subscribe & Save 15% discount (if you can take delivery of 5 or more active subscriptions in one month) . 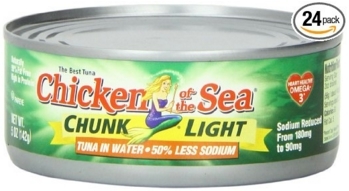 $14.24 ($0.59 per 4.23 oz. package) with the standard Subscribe & Save 5% discount. 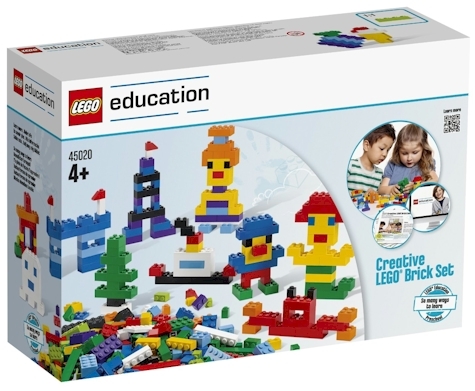 Amazon has got this LEGO Education 1,000 piece Creative LEGO Brick set (#45020) for $49.19 with free Prime/SuperSaver shipping. 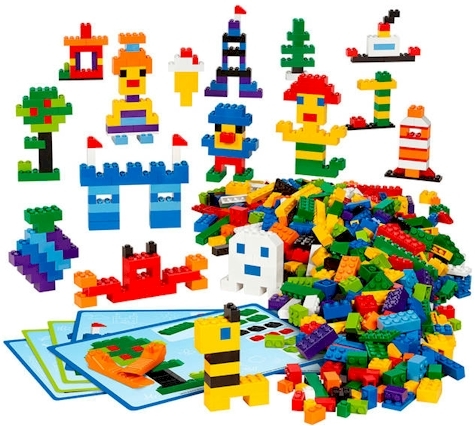 That comes to just under 5 cents per LEGO brick! If you're looking for a low-priced set that includes just bricks, this is a fantastic price for a ginormous LEGO set. $19.79 (82 cents per 5 oz. can) with the 15% Subscribe & Save discount, if you can take delivery of 5 or more active subscriptions in one mont49h. $22.12 (92 cents per 5 oz. can) with the standard 5% Subscribe & Save discount. 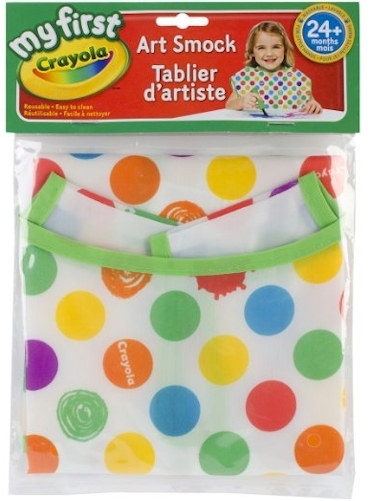 Got a creative little one at home? 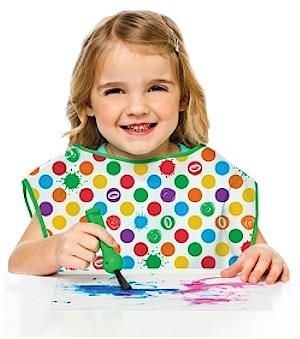 Amazon has got the Crayola Art Smock for only $2.24, the lowest recorded Amazon price on this essential children's arts & crafts item. 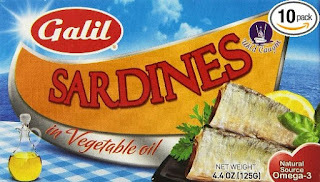 Amazon has a terrific Subscribe & Save deal on this 10-count of Galil Sardines, for as low as $10.19 shipped ($1.02 per 4.4 oz. can). $10.19 ($1.02 per 4.4 oz. can) with the Subscribe & Save 15% discount (if you can take delivery of 5 or more active subscriptions in one month) . $11.39 ($1.14 per 4.4 oz. can) with the standard Subscribe & Save 5% discount. 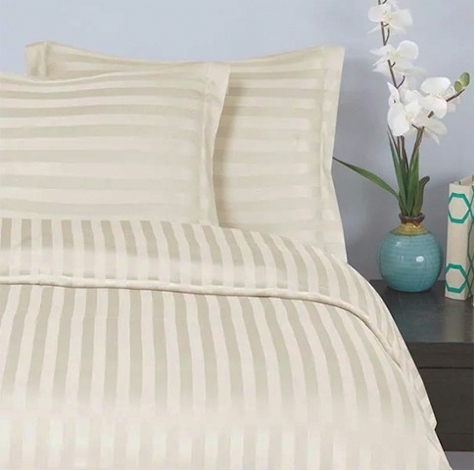 GearXS has got these 100% cotton 3-piece duvet sets for $18.99 in queen-size and $21.99 in king-size, both with free shipping. Amazon Gold Box Deal of the Day (2/26/16): Oreck XL Commercial Lightweight Multi-floor vacuum for $136 (LOWEST PRICE). Excellent reviews, fantastic price. Amazon Gold Box Deals don't always provide the lowest prices on everything, but one of the smartest items you can buy from a Gold Box Deal is a higher-end vacuum. (We bought a Dyson vacuum on a Gold Box Deal a few years ago and we got a FANTASTIC deal that I've never seen priced that low anywhere else.) From what I've seen of recent Gold Box Deals on vacuums, their discounts are both steep and competitive. So many of you have asked me about high-end, performance vacuums that are not priced as high as the Dysons are, whether it's for your primary vacuum or for a second vacuum that you keep on a different floor of your house. Check this out. Today's (2/26/16) Amazon Gold Box Deal of the Day is on this Oreck Commercial 8-Pound Commercial Upright Multi-Floor Vacuum (model #XL2100RHS) for $135.95 with free Prime/SuperSaver shipping, the lowest recorded Amazon price on this vacuum. (Yesterday's price was $171.60.) It got 4.4 out of 5 stars over 1,069 customer reviews (the reviews are well-worth skimming). Limit 3 per account. Description: Transform commercial cleaning from carpet to hard floors with powerful direct suction and easy-to-use fingertip controls. Clean up close to cabinets, baseboards and under desks and furniture. And at only 8 pounds, it’s easy to push and carry anywhere. Best of all, the Oreck XL Commercial Upright was proudly built in the U.S.A with U.S. and globally sourced components. 12" wide cleaning head covers a wider area and leaves no center dirt path. Clear, non-marring bumpers. Exclusive MicroSweep goes from carpet to bare floors with no adjustments. Cord guard prevents cord damage. Fingertip-controlled on/off switch. Ingenious top-fill design keeps power at maximum even while bag fills. Powerful, high-speed, balanced, double helix brushes whirl at 6500 rpm. Remember, this price will hold only through tonight, 2/26/16 only. 100-count pack of Wilton 4" x 6" Party Bags for $3.99 (4 cents per bag!) on Amazon. Great Shalach Manos idea. Amazon has got this 100-count pack of Wilton 4" x 6" Party Bags for $3.99 (4 cents per bag!). I've been using these bags for the last 3 years for my "bulk" Mishloach Manot/Shalach Manos. I dress them up with pretty ribbons and let the goodies speak for themselves. 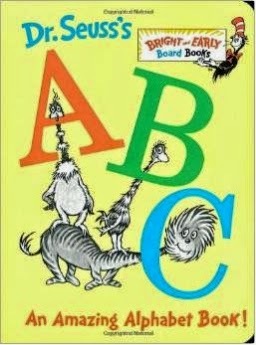 Amazon has dropped the price on Dr. Seuss's ABC: An Amazing Alphabet Book! board book to $3.01 with free Prime/SuperSaver shipping. It got 4.4 out of 5 stars over 791 customer reviews. Wow! 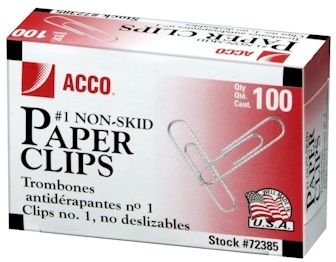 Amazon has got this 10-count pack of ACCO #1 size 100-count box of Paper Clips for $6.69 with free Prime/SuperSaver shipping (67 cents per box). About 4 years ago, I got a little smarter and stopped shlepping home heavy stuff that we buy all the time and started buying them on Amazon instead (and now the UPS guy does the shlepping), including stuff like 50 lb. bags of ice melter salt, 40 lb. bags of dog food, and yes, windshield wiper fluid. 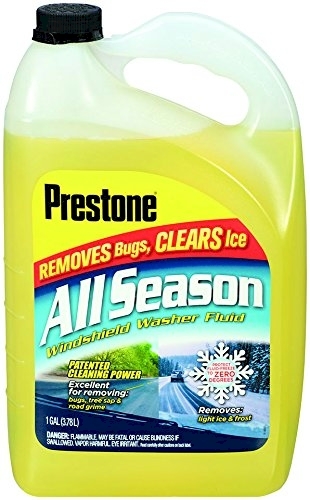 Amazon recently had a nice price drop on this gallon size of Prestone All Season Windshield Washer Fluid, down to $2.97, the lowest recorded Amazon price on this item (previous price was $7.31). It got 4.6 out of 5 stars over 120 customer reviews. Because of the low price, these are limited to 6 per account. I got 8 of these (I used my husband's Amazon account for the extra two) and stacked them up in the garage, and we're good for the rest of the year for our two cars. Amazon has got this 5-piece Lenox Opal Innocence Carved Dessert set for $27.83 with free Prime/SuperSaver shipping. 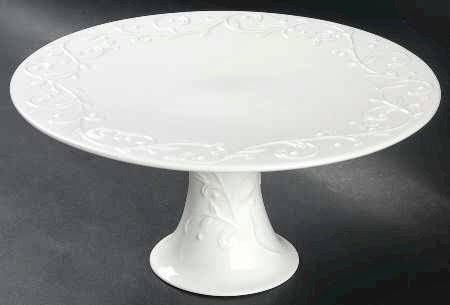 This includes 4 Lenox Opal Innocence Carved dessert plates and one 9" Lennox Opal Innocence Carved cake stand. FYI, Wayfair has got the cake stand alone for $59.95 and Macy's has got the 4 dessert plates alone for $39.99. If you Google around, you will see other sites that have these items priced in the $100 price range. This is definitely one of my favorite Lenox deals on Amazon. I have no idea how they can price this Lenox set so low. Three years ago, I bought two of these sets for Pesach and they are absolutely beautiful. 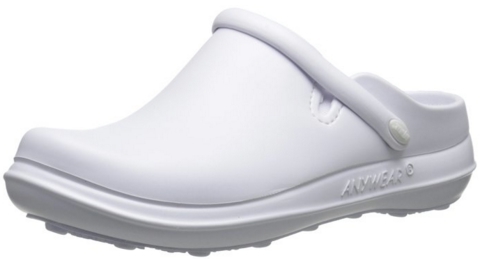 Classic Lenox white-on-white design that goes with everything. 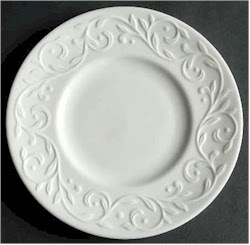 Crafted of Lenox white porcelain. Set includes cake platter & 4 dessert plates. Cake platter diameter is 9". 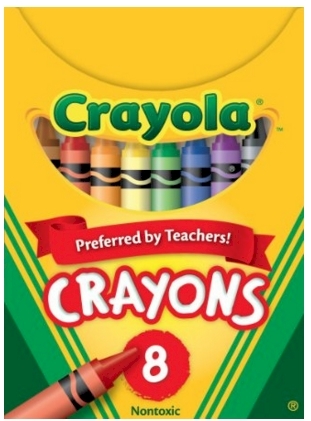 PRICE DROP: Crayola 8-count Classic Crayons for 98 cents on Amazon with NO QUANTITY LIMIT! Stock up time! 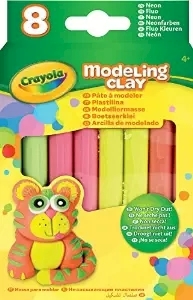 Amazon has these 8-count Crayola Crayon boxes for only $0.98 each with no quantity limit! (Normally, when a price drops this low, Amazon limits the quantity to 4 or 5 per account.) Hurry, before this goes back up to the regular price of $2.99. This is an Amazon Add-On item, which means that it ships for free with a $25 minimum order if you are an Amazon Prime member (and its price of $0.98 counts towards that $25), or it ships for free with a $49 minimum order if you're not a Prime member. You can buy multiples of this item to help get you to your $25 or $49 minimum for free shipping. GearXS has got either a 30-count pack or a 50-count pack of these 5" x 9": bubble mailers for as low as 18 cents per mailer when you enter promo code GXS-TIDY at checkout (10% off). 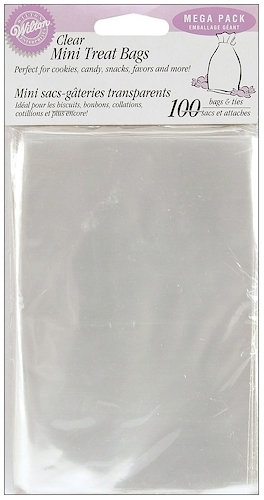 Description: Ship with confidence using these self-sealed 5 x 9 White Bubble Mailers. 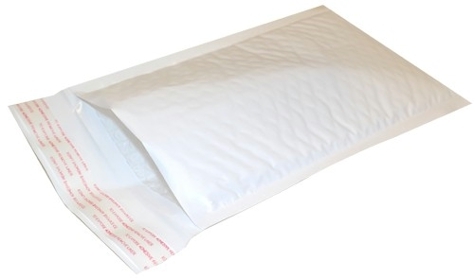 Self-sealing bubble mailers provide outstanding low cost shipping protection for a wide variety of products. Built with bubble lined wall construction for extra protection these self-sealed 5 x 9 White Bubble Mailers stay safe during transit. Order now while supplies last. For use with a wide variety of items. Comes in packs of 30 or 50.